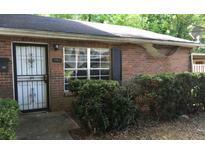 Whitehall - Convenient Location To Atl, Local Schools Restaurants And Shopping MLS#6108976. Yates Estates. Viewpoint - Rare Opportunity In Midtown'S Most Popular Building**Lowest Price In Over 2 Years Of This Lgst 2/2 Layout & Lowest $ Per Square Fooot For A 2/2 In This Style Building In Midtown**Only 2/2 Layout In Building W/Defined "Flex" Space For Dining/Office**Brand New Wide Plank Brazilian Cherry Hardwoods, Custom Blackout Blinds, & Upgraded Appliance Pkg**Oversized Dual En Suite Masters With Spa Style Bathrooms & Custom Closets**3 Floor To Ceiling Walls Of Windows W/Rare Dual 180 Degree City & Resort Style Pool Views**Same Level Access To 5-Star Amenities Levels**24 Hr Concierge MLS#6108580. Atlanta Communities. 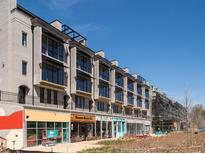 Studioplex Lofts - Only A Lucky Few Will Live Here! No Property Visits Without Agent. MLS#6107948. Ansley Atlanta Real Estate, Llc. Unique And Approachable Living, Right Where Midtown, Morningside, And Buckhead Meet. Photos Are Of Similar Homes. MLS#6108395. Compass. Fantastic Virginia Highlands Location Seldom On The Market. MLS#6108228. Harry Norman Realtors. The Realm - Just 2 Blocks To Marta Station & Minutes To 400. MLS#6108351. Mark Spain Real Estate. Ready For A Seasoned Investor To There Own Special Finish To This Project MLS#8495109. Real Estate Gurus Realty. Two Parking Spaces And Storage Unit Are Included. MLS#6107710. Harry Norman Realtors. 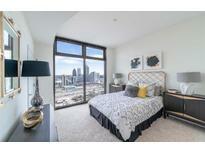 1279 West Condominiums - Walk To Piedmont Park, Atlantic Station, Whole Foods & Marta! Welcome Home! ! MLS#6107524. Keller Williams Realty Atlanta Partners. The Property Is Just A Short Drive To Midtown Atlanta And The Belt Line. MLS#8494139. Keller Williams Atl.Perimeter. Close To Restaurants/ Piedmont Park And Beltline. Move In Ready. Must See MLS#6107325. Bhgre Metro Brokers. Northampton - Private, Level Backyard. Additional Parking Behind Garage. 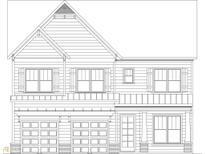 MLS#8493432. Heritage Realty. Minutes From Downtown Atlanta And Easy Access To The Expressway.Thomas-Monticello Park- Pictures Are Representation Of Model Home. MLS#6107360. Berkshire Hathaway Homeservices Georgia Properties. Thomas-Monticello Park- Pictures Are Representation Of Model Home. MLS#6107164. Berkshire Hathaway Homeservices Georgia Properties. Home Is Vacant, Please Go And Show. Owner Financing Available. 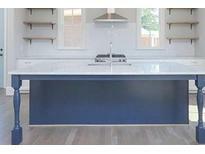 MLS#8493565. Atlanta Diamond Realty Llc. Brookwood - Restaurants On 1St Floor Of Building. MLS#6106532. Ken Harris And Associates Rlty. 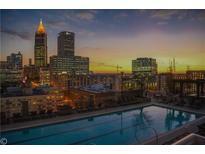 Brookwood Place - Walk To Shopping, Dining, Piedmont Hospital, Northside Beltline & Ardmore Prak. MLS#6106330. Harry Norman Realtors. Mayfair Tower - Bath Has Over-Sized Shower W/Dual Shower Heads Plus Hand Shower And Separate Control Valves. Very Cool Space! MLS#6106494. Solid Source Realty Ga, Llc..
Riverstone At Wildwood - Your Closing Costs Paid By Our Preferred Lender! ! MLS#6105571. Your Home Sold Guaranteed Realty, Llc..
Last Chance, Delivery Late January 2019. MLS#6105572. Ansley Developer Services, Llc. Hoa Includes Pressure Washing, Repairs, Painting Of Exterior, The Roof, And Garbage. Don'T Miss This Opportunity! MLS#6105822. Bhgre Metro Brokers. Lenox - Experience Luxury In The Heart Of Buckhead- Transitional Design Inspiration- Devoted Top Level Master Suite For Ultimate Privacy- Elevators With Access To All Levels- Bright & Stunning Floor To Ceiling Pella Window Package- Private Patio Off Main Level- Viking Appliances- Sitting Area Off Master Suite- Perfect Balance Of Ideal Location & Luxury Luxury Living Next To Shopping And Dining- Opportunity To Buy Finished Unit Or Select Custom Finishes- Custom Kitchen Cabinetry. MLS#6105239. Compass. Mayfair Tower - Midtown Financial District, Minutes From Ga Tech Square, Piedmont Park, Botanical Gardens, Beltline, High Museum And Many Restaurants. This Is A Must See! MLS#6104843. Vineyard Real Estate Group. Wrap Around Patio Deck Off The Back Of The Home For Private Relaxation. Just Minutes From The Beltline. MLS#8491277. Keller Knapp, Inc.